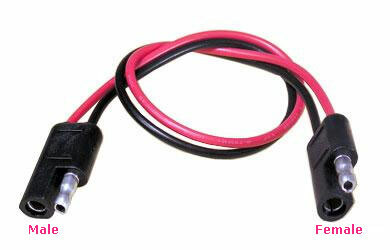 Used for E-bike / bike light cable connector and in transportable modules of model railroads. Note:Please DIY with correct polarity. Batteryspace is not responsible for any damage caused by misunderstanding and misuse!